You are browsing the Blog for Tom. Hey everyone! We’ve been working on some small quality of life improvements for the next update. Among other things, we have an improved default control scheme, a simplified HUD, and some dynamic camera movement. 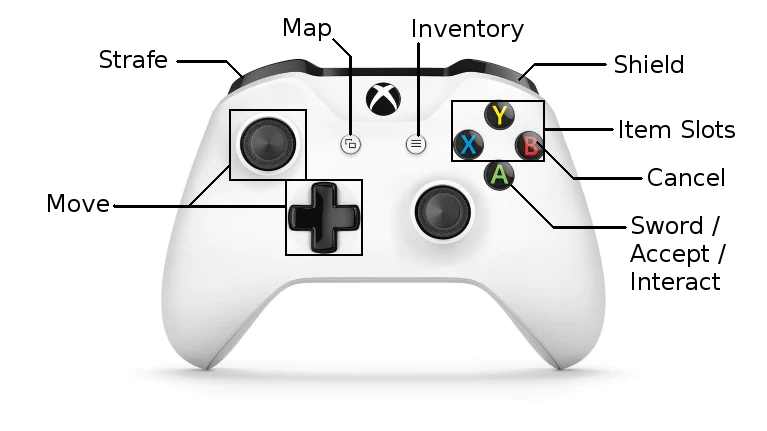 We’d like it if you’d comment with your thoughts on these controls! 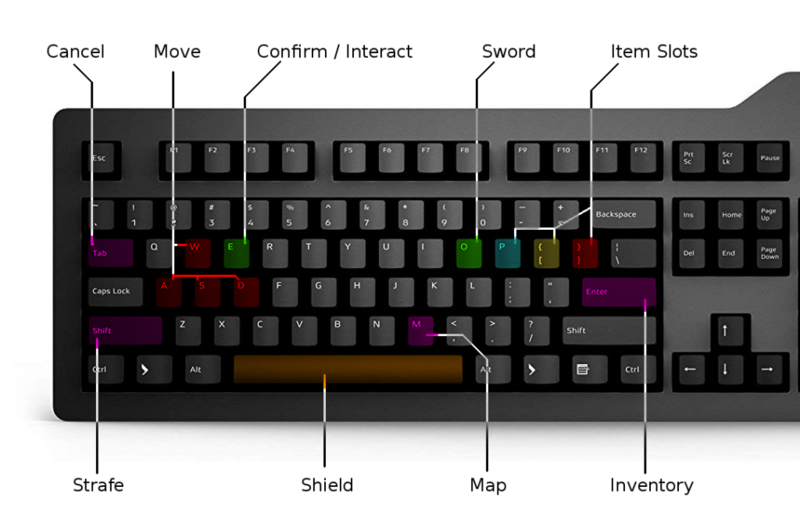 The biggest change here is that there is now a pair of dedicated buttons for swords and shields. Altogether, there are now five buttons you can bind to different items. Showing all of these on the screen all the time would leave very little room for showing the world, so we took an axe to the already-chunky UI. In the end, we decided that the sword and shield didn’t need to be shown on the screen anyway, since you rarely need reminding what they’re for. But the redesigned HUD did free up space for something I’ve wanted to add for a long time: camera movement! Since the beginning, we’ve had a fixed camera: maps are split up into rectangular screens and only one is visible at a time. The camera would only move while transitioning from one screen to the next. There are a few good reasons for doing that in a top-down action game–it ensures everything relevant to the player (doors, enemies, etc.) is visible on the screen, and nothing important is hidden by the HUD. But in the upcoming v0.13 the camera moves in the direction you’re looking, or when you approach the edge of the screen. Check the GIF out. I spent a lot of time trying different ways of responding to the player, and different movement modes and amounts. I feel pretty confident that this makes the game look and feel more dynamic… But it can still be disabled if you don’t like it. Today I’d like to introduce, Sandolphin, the “Serpentine Dolphin” Archangel. In v0.13 of Lenna’s Inception, you’ll meet her in watery dungeons. To beat her, you’ll need to master swimming, and perfect your timing of dives. Sandolphin’s interests include swimming, crossword puzzles, and vomiting starfish. You should dolphinately watch out for those starfish. If you see one heading your way, be prepared to dive! Finally, we have a new title screen to share! 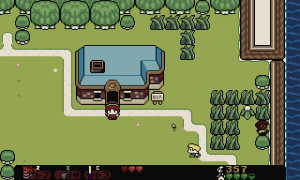 The background scrolls over the overworld, displaying some of the types of locations you might visit early in the game. Of course, since it’s generated, you probably won’t see those exact locations when you actually play. Tuna in next time to read about changes we’re making to the controls to save you from having to constantly switch items! We’ve got a couple of new things to show you today. First up is the introductory cutscene of the second player character. 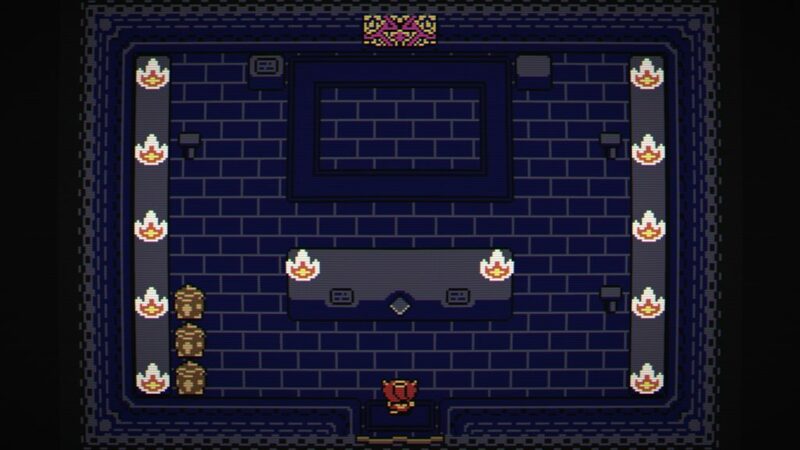 We’ve already shown how the game allows a second player to control Shadow Lenna, a character with all the same abilities and stats as Lenna. 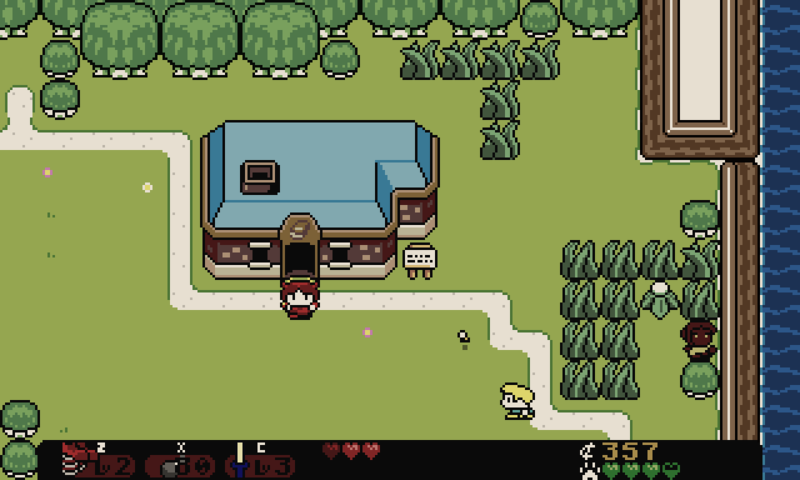 Starting in 0.13, Shadow Lenna can be unlocked near the beginning of the game. 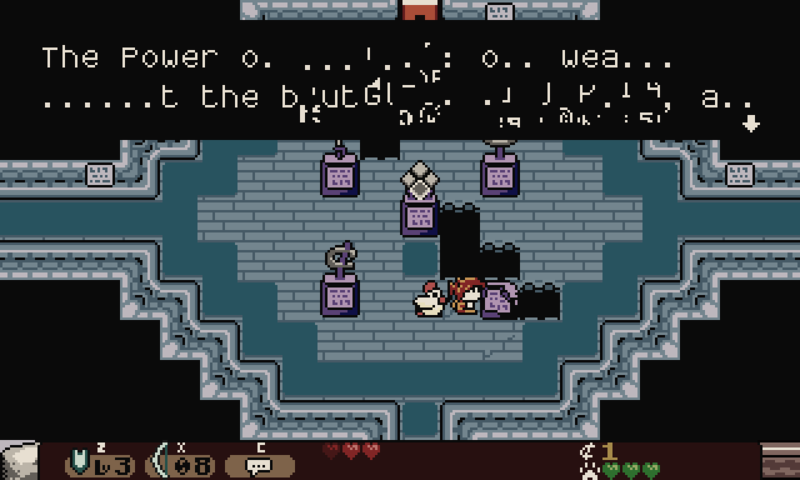 Certain cutscenes have special dialogue for Shadow Lenna that you’ll only see if you’re playing co-op. 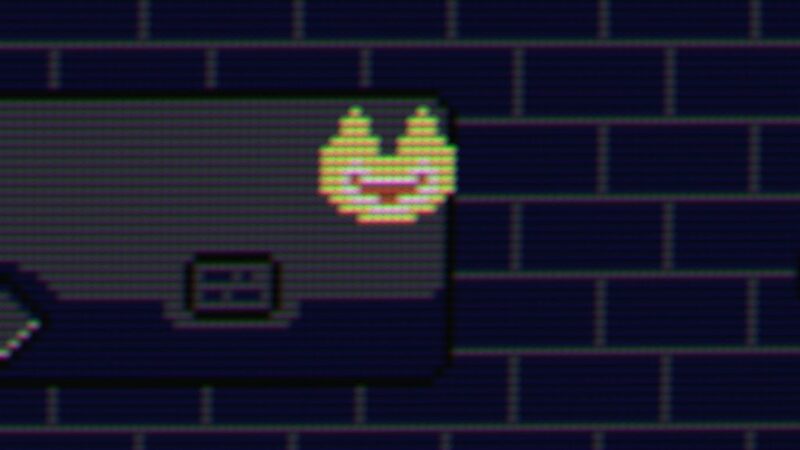 In other news I’ve scrapped the CRT shader we had before and written a new one. It’s best viewed fullscreen, so be sure to click below for the full-size version. The same scene with the old shader can be viewed here. The difference is night and day. As you extend the radius of those gradients, they blend and start to reproduce the original colors of the image. Extending the gradients outwards, beyond the original pixel, until they blend into neighboring pixels creates the appearance of color bleed. This can be seen around the edges of the yellow fire sprite below: red bleeds out down and left, and green bleeds out up and right. If the gradients are squat ovals instead of perfectly round, pixel blend into each other horizontally more than they do vertically. That means the space between neighboring vertically-aligned pixels is (relatively) darker than the space between neighboring horizontally-aligned pixels, creating the illusion of scanlines. 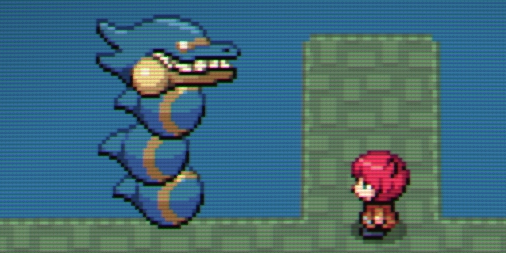 All together, this makes for a fairly simple, efficient, single-pass CRT shader. 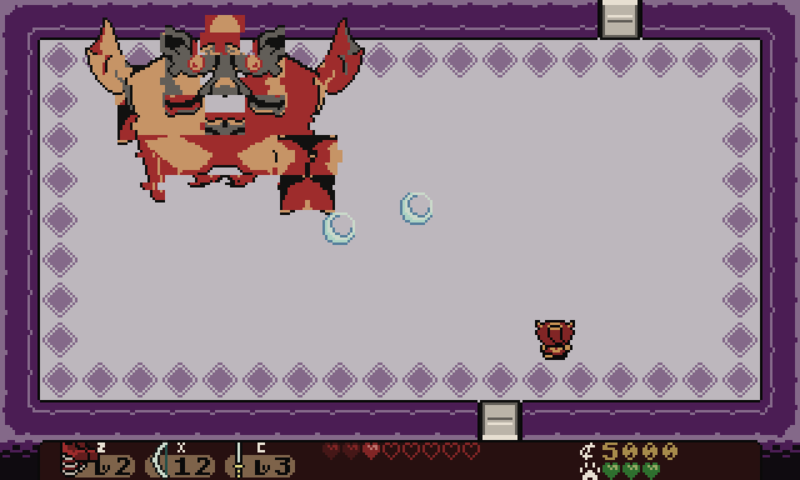 Meet the latest boss we’ve been working on, Santaquiel, Archangel of Ice and Unwanted Gifts. He has a major weakness to fire, but be warned: once he’s fixed you with his icy stare, he’s a cold-blooded killer. Definitely do not accept any presents from him. Since our last post, we’ve been busy with a number of things! Hi everyone! A new version is available today! Also included in this post is some info about future plans for Lenna’s Inception. v0.12 is now stable and available for download on itch.io and Humble. As always, you can get it by following these steps. If you’ve been playing recently on the unstable branch on itch.io, not much will have changed. The ‘unstable’ branch is intended as a preview of the features I’m currently working on. Compared with yesterday’s unstable branch version, the only change in this new version is a handful of bugfixes. Local co-op has been completely revamped. 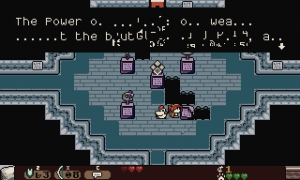 The second player now controls Shadow Lenna, a character with all the same abilities and stats as Lenna herself. 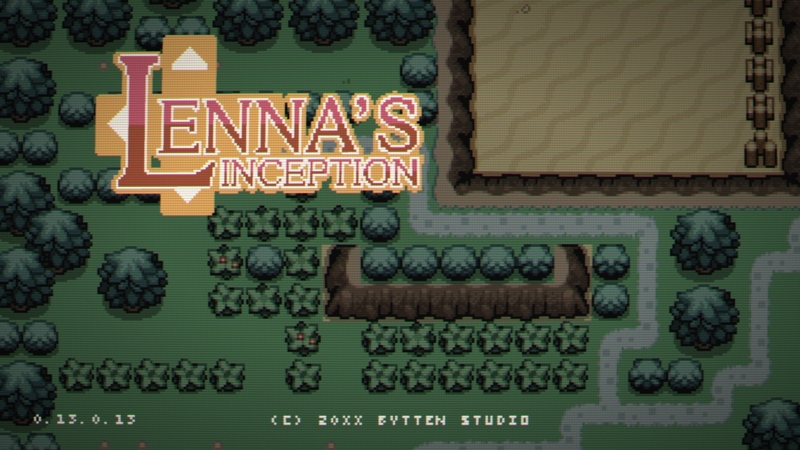 Version 0.11 of Lenna’s Inception is now available on itch.io and through humble. 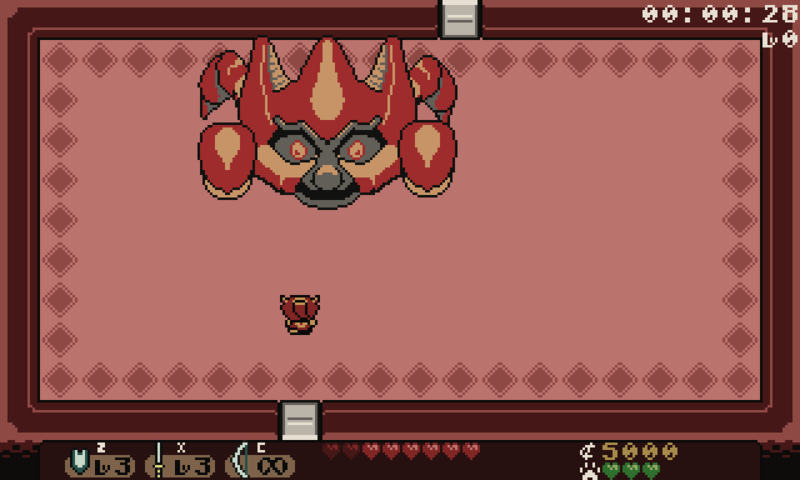 Among other things, this version includes a new boss, new minigames and new side-quests. For a fuller list of changes and some screenshots, see my previous post. I’ve been working on the next update for a while now, only sporadically tweeting progress screenshots. Here’s what to expect in 0.11! The beta10 update is now available. It includes new areas, story events, various graphical and map generation improvements, and fixes for some serious bugs affecting Mac users. 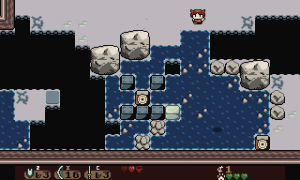 Lenna’s Inception has come a long way in the three months since beta9. Beta10 is almost here, so here’s a quick roundup of screenshots and information I’ve been sharing on twitter! The storyline has been mostly implemented. Just the endings, and the optional side-quests are missing right now. 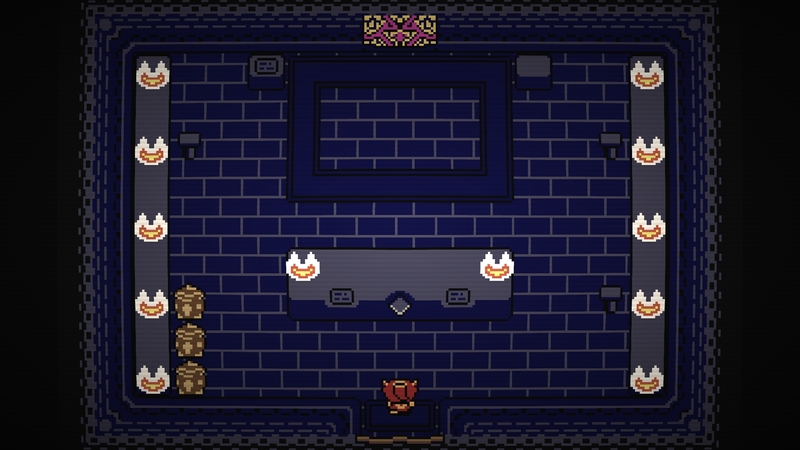 The laboratory and palace locations have been redesigned and reimplemented, along with hand-designed puzzles you’ll need to solve to get through them.